When CIO Sam Esfahani took over the reins of the IT environment at PSCU Financial Services with a mandate from the executive team to turn the organization into an innovation powerhouse, it wasn’t just a matter of orchestrating process change and directing wise technology investments and implementations. As is the case with many new things bearing the warning “some assembly required,” he had to make decisions about identifying new areas where the company could grow by innovating differentiated products/services, determine how to build and leverage internal and external partners, and he had to break down powerful walls of resistance to change. In Part 1 of this post, I shared the story of how a little over three years ago the executive team gave its new CIO the green light and budget for the transformation to IT innovation and the foundations Sam recommended putting in place before he could even begin talking about innovation. In part 1 I also discussed the crucial decision Sam made to motivate the internal business partners to become allies with IT in the effort to drastically decrease the time to market or time to value. In application development, it took an enormous amount of time to build requirements, syndicate requirements, and then test in the old PSCU environment. With hundreds of credit union customers, the company used a multi-tenant platform, and it was a beast when it came to trying to do these tasks fast. From thought to implementation, it sometimes took three or four years to complete major projects. Clearly that is woefully inadequate in the fast-moving financial services and credit union space. Once they established a culture of accountability and also started using Agile, an early version of DevOps and continuous integration, they completed some projects in just eight months instead of years. In fact, they built eight mobile applications in nine months. The new automated testing and provisioning tools and systematically eliminating the constraints that slowed them down in the past, enabled them to get from years to months in completing those eight mobile applications. But Sam makes it clear that getting to innovation took more than tech-enabled processes and a culture of accountability. The new reality of the business need for speed and agility doesn’t allow multiple years for completing projects; instead, they needed to leverage DevOps and deliver continuous iterations. The product development team could no longer just throw requirements over the wall, so to speak. They had to be engaged in the project requirements and involved in the iterations because the product quality outcomes had to align with the team’s intent for the product. "At first, this was very hard for them, and they said they couldn’t deliver that," Sam recalls. He told them they could do it if they stretched themselves. So although IT had a subservient relationship with the business side, achieving the mandate to create an innovation powerhouse involved the CIO not only driving change in the IT group but also driving change on the business side. He was relentless in the pursuit of change, but he also had the trust of the executive team. He says turning around the ship took a lot of time, a lot of lunches, and a lot of arm twisting while building a relationship with the business side. The amount of time and effort it took wouldn’t have been possible if he hadn’t first built a reliable execution engine (see Part 1 of this story); otherwise, he would have spent time just putting out fires. The effort in driving new mindsets and a can-do attitude were successful, and the active collaboration of the product development team was a major contributing factor in the velocity of achieving the five-year mandate for an innovation powerhouse in less than three years. He also moved the cheese and drove a different relationship with the primary existing service provider for IT support and talent the company lacked. He communicated to the service provider the same principles he communicated to the internal IT team – the road map, and why the change was so important, redefined their role in service delivery and the potential of expanded business for them. He met with them on a regular basis and explained expectations and very clear goals and performance measurements. The transparency, integrity and clear expectations created a very good relationship and the service provider wanted to partner with them to help achieve success. So overall IT performance rose across the board with a reenergized delivery organization (both internal and external). Basically, PSCU’s former offering repackaged other companies’ services. So its business was at risk because credit union clients could have gone directly to the providers of services that PSCU bundled into its offerings. With differentiation through innovation their goal, the CIO and executive team recognized they needed a wow factor – a product or service that would make PSCU stickier with credit unions. The game-changer would be to move the company from being a services aggregator to an integrator. They came up with two innovative ideas and put both into play. First they leveraged the data of their clients’ 50 million consumers and leveraged the company’s infrastructure to become an intellectual powerhouse for analytics and big data services (such as industry index competitiveness and how to use to increase their value) that they could provider to credit unions. This became an extremely successful endeavor. The second idea was to offer to credit unions an application with credit and debit alerts. But credit unions needed help with the complexity of Web and mobile apps. So to increase customer satisfaction, by helping clients avoid those complexities, they digitized the service and created their own ecosystem called Intelligence Platform. Although clients can still integrate the services into their own environments, enabling credit unions to consume the Web services in the Intelligence Platform was a huge differentiator. And now the company had the speed, focus and agility to create differentiation. The company now has services no competitors offer. 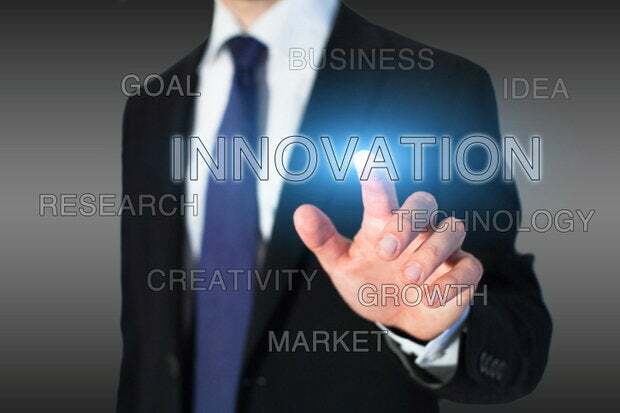 It’s now an innovation powerhouse that creates differentiation that not only captures new clients but also helps to define and defend its space in a very aggressive competitive market. Describing their excitement about this outcome – and that it took only two years instead of five to drive the change – the CEO and COO told Sam the company’s IT group is no longer just order takers and a data center. Technology is an intellectual driver, and if they give it the right investment and credibility, they can create fantastic results.